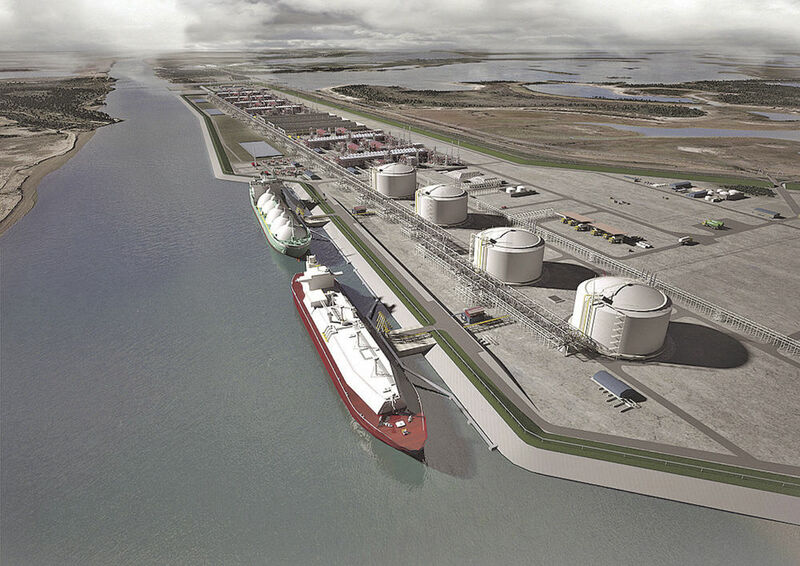 BROWNSVILLE — To signal that its proposed liquefied natural gas project at the Port of Brownsville is moving forward, Texas LNG announced this week that it has in hand three important official letters that help clear the way for development. Texas LNG, one of three companies that have announced plans for LNG export terminals at the port and are awaiting approval from the Federal Energy Regulatory Commission, said it has received “over the past few months” letters from the U.S. Coast Guard, the U.S. Department of Defense and the U.S. Department of Transportation Pipeline and Hazardous Materials Safety Administration. The Coast Guard letter confirms that the Brownsville Ship Channel is suitable for Texas LNG’s anticipated marine traffic in terms of safety and security, while the DOD letter notifies the company that, in the government’s determination, the impact on military training and operations will be minimal. Texas LNG said the letters are important milestones for the project and required for the FERC approval process. The letters can be viewed at www.txlng.com. The company said full approval and a “final investment decision” on whether to build the terminal, which would liquefy and ship domestic natural gas to foreign buyers, is expected in 2019. Texas LNG anticipates first-phase production of 2 million tons a year to begin in 2023.